Join us on a city break to the elegant coastal town of San Sebastián - a resort used by Spanish royals in the 19th century. Beyond the beautiful beach, there’s an abundance of art, architecture and food to discover, from the small but sumptuous plates at pintxo bars to multi-course Michelen Star feasts. When it comes to cooking, this Basque city is a culinary champion! After arriving at Bilbao Airport, we’ll proceed through immigration and collect our luggage before heading to our hotel in San Sebastian for a Solos welcome drink and dinner at a local restaurant. 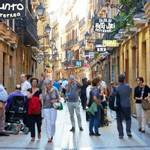 Today we will go on a 3 hour guided walking tour to explore San Sebastian’s city centre. Our tour will take us past the Buen Pastor Catedral - the most remarkable religious building of San Sebastián – before taking us to Gipuzkoa Square, which is home to a large number and variety of trees, flowers and plants. We’ll then proceed to Okendo Square and Kursaal Congress Palace, and walk through the Concha Bay, Town Hall, marina and Parte Vieja, stopping at the La Bretxa market. Today is free for you to spend however you wish. Relax at the hotel, or explore San Sebastian’s historical sights and museums. 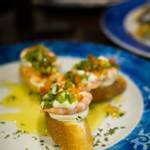 Enjoy tasty pintxos or try the delicious salt cod omelette for your lunch – a speciality in the Basque region. 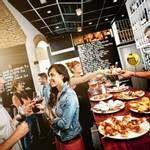 San Sebastián is home to over 200 pintxo bars – the majority of which is concentrated in the cobblestoned Old Town. Explore on foot or sit back on a bus and admire the views: the city is easy to walk around and public transport is available, so the choice is yours! After breakfast we’ll have some free time to explore San Sebastian a little bit more and buy some souvenirs. In the afternoon, we’ll transfer to the airport for our return flight home. Our hotel is located is only 250 metres from Ondarreta Beach and the Miramar Palace, the Spanish Royal Family’s summer residence in the Belle Époque period and today the headquarters of the city’s Summer Course. 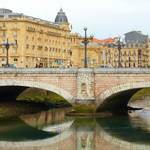 It is a leisurely 30 minutes’ walk along the seafront promenade or a short bus journey to the San Sebastián Old Town. Breakfast is buffet style and there is a TV lounge and a cafeteria. Guests can also order pizza and sushi to their room. All the rooms come with a minibar, flat-screen satellite TV and private bathroom. The transfer time from Bilbao Airport to your hotel in San Sebastian is approximately 1 hour and 10 minutes, depending on the traffic. 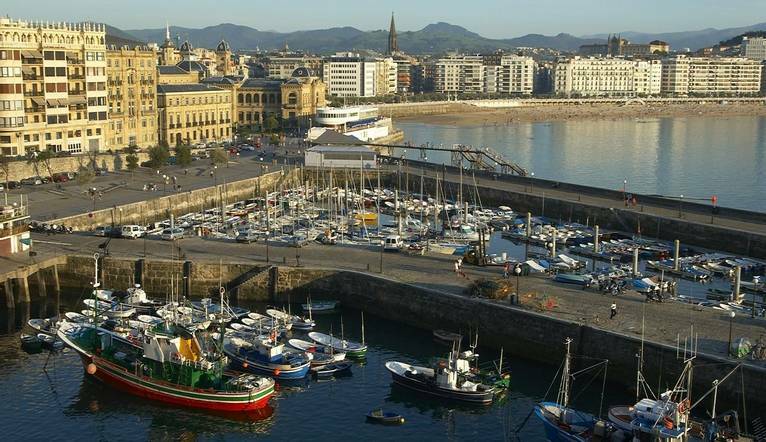 A 3 hour guided visit of the centre of San Sebastian with a guide is included in your touring package.